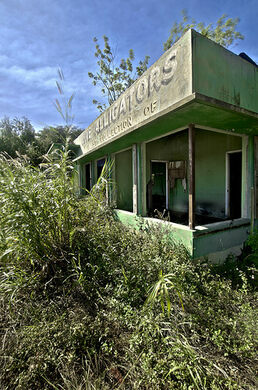 Once a varied collection of South Florida reptiles, Gatorland has since become a property gutted and abandoned. 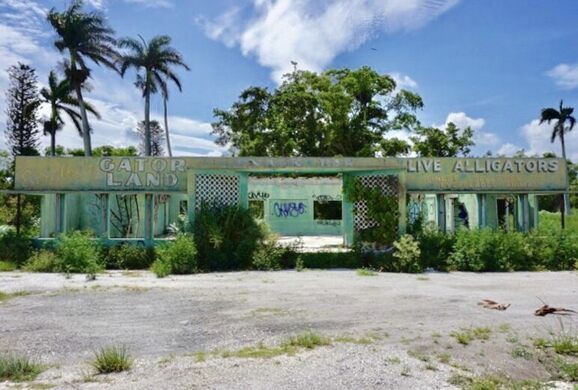 It’s certainly among the hidden gems of South Florida, where many unused buildings are quickly demolished and repurposed as condos or storefronts. 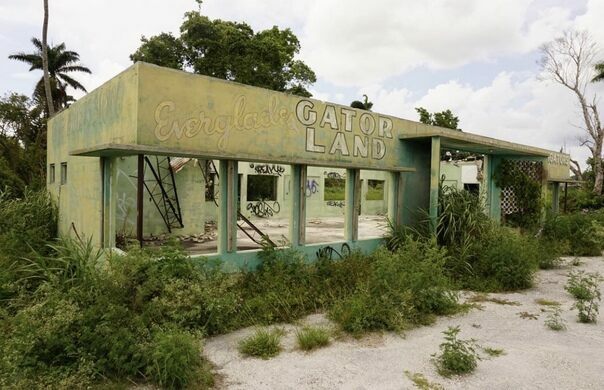 Because of its location, Gatorland doesn’t seem to be in any danger of disappearing anytime soon. 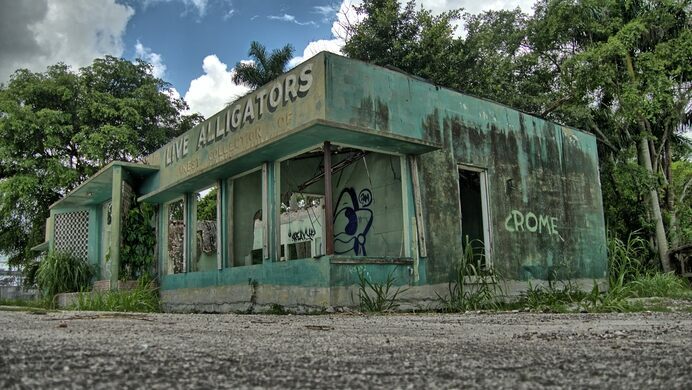 It is a symbol of the vast emptiness you find when leaving the big cities and exploring the sparsely populated areas of Florida. 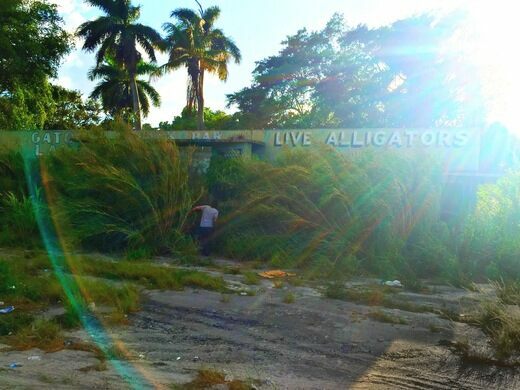 From Miami-Dade or Broward County, take State Road 27 North towards South Bay/Belle Glade. If you reach South Bay, then you've gone too far. 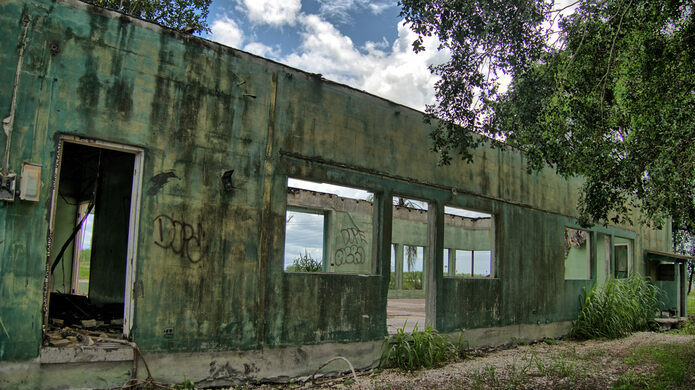 The building will be on your left going north, just before an abandoned church.